"It’s 4.30am, but despite the lack of moon, the sky outside is anything but dark. The streaky smudge of the Milky Way lies thrown out across the night sky, the curved dome flashing intermittently with silent lightning. Hopefully the distant storm will not transition to rain here. The hooting of an owl and the susurration of nocturnal cicadas perfectly soundtrack the green flashes of fireflies, eerily synchronised as they move through the air above our tents. This stillness belies the method by which we were awoken – a harsh bugle sounding The Rouse, the traditional soldiers’ wake-up call, courtesy of our ex-military guide, Major Chad Sherrin. Although this daily alarm blares from an iPod via portable speaker instead of from the lips of a bugler, it has the same effect – in minutes we’re packing up our equipment like well-trained monkeys. Much has been written about the conditions of this notoriously tough hike. Suffice it to say that a typical day on the track involves slogging up a ridiculously steep hill, the slippery mud further complicated with tangled roots, fallen logs and sweat running into my eyes. Trekking poles planted in the ground ahead help to haul myself and my 15kg load up another couple of steps. Cresting a ridge, as we do several times a day, brings a corresponding descent and all the unsteady, awkward down-stepping associated with it. 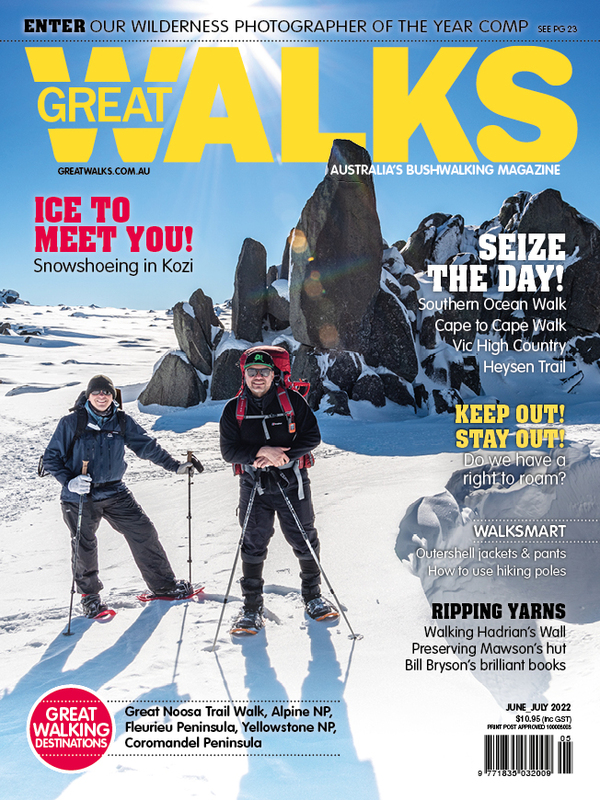 Repeat until nightfall..."
For Dan's full story pick up the Aug-Sept issue of Great Walks and for more info on Adventure Kokoda click here.